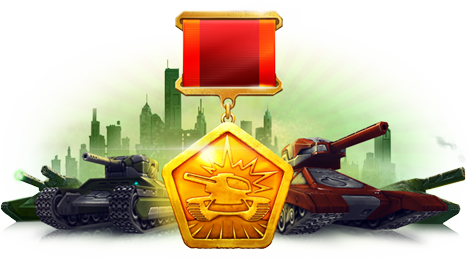 The clan system is available for players with the rank Warrant Officer 1 or higher. Every clan will get its own clan chat and the ability to play in battles with “Clan Battle” option ON. 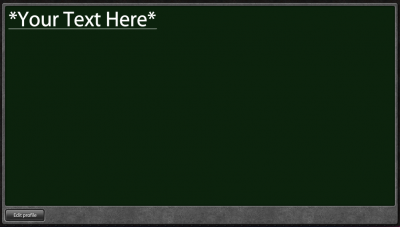 Each clan member will get a clan tag in parenthesis ( [ ] ) on the left hand side of their nickname and a “Clan Profile” option in the Context Menu by clicking on a player’s nickname. Players can only be a member of one clan at a time. Clans can contain a maximum of 12 players at any given time. If the Supreme Commander/Leader of the Clan receives a block, the Clan will be temporarily blocked, meaning that all privileges such as entering Pro Battles and Clan vs. Clan battles will be terminated. New members can still be allowed to join. A message saying "This clan has been blocked because the account of its leader is blocked" will be in the Clan description and this can not be edited. You need to have purchased a Clan License in the shop to be able to create a clan. You can purchase a Clan License in Clan section if you are not already a clan member. You can create only 1 clan with 1 Clan License. You’ll need to purchase one more license to create next clan. After agreeing to the rules, the Clan will be created. The Supreme commander is the player who created the clan. Clans can only have 1 supreme commander and the position cannot be transferred. Novice is a player with limited permissions. Novices automatically become Privates by default after 24 hours of being in the clan. Only players granted with appropriate permissions can change clan players' positions. To do this, you need to click on the player’s nickname and select the desired position. You cannot change your own position nor can you change a member’s with a higher position than yours. 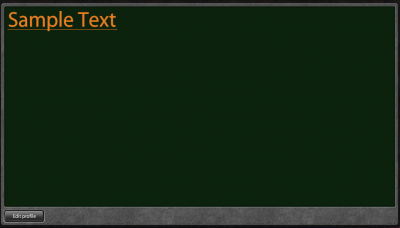 Description - a text field which you can fill with your clan history, achievements, forum topic links and any other info. (max 5000 characters). Recruitment - can be closed or open. If closed, players cannot send requests to your clan, but Clan members may still invite players to join the Clan (if their position allows for inviting players). Minimum rank needed - must be Warrant Officer 1 or higher. Even Supreme Commanders cannot send an invitation to a user who has a lower rank than the minimum. By using basic HTML coding, the description of a Clan can be formatted. The text size and colour can be modified. The statistics info in clan profile, such as "Tanks destroyed", "Tanks Lost" and "Clan D/L", is simply an average of clan players’ stats. The clan can send an invitation to any non-clan player with rank equal or higher than minimum rank required for this clan. The player may accept the invitation or reject it. When applying for a clan, the applicant can send a request to the clan only if recruitment is open and player’s rank is equal or higher than minimum rank needed for this clan. The request can be sent from Clan’s profile or from the "Search Clan" window. Members with a Clan ranking of Officer or higher may accept or reject the request. Any clan member, apart from the Supreme Commander, can leave the clan at any moment. Clan leaders and officers may expel players whose positions are lower than their own positions. For example, Supreme Commander may expel any player, and Officer may expel Sergeants, Veterans, Privates and Novices. The player who was expelled from the clan or left it by his own decision cannot send requests and accept invitations for 24 hours, but he may create his own clan. When a clan is empty, Supreme Commander can disband it. The disbanded clan gets blocked but its name and tag are both still impossible to take. The "Clan vs. Clan" battle function is a special option in the Pro Battle menu. This option can only be set by clan members and will only work in team battles (TDM, CTF, CP). Members of different clans can’t join the same team, and members of the same clan can’t join different teams. This page has been accessed 31,378 times.